My objective with each web project is to approach the building process with a clear idea of what the client is looking for and to determine the scope and deliverable state of the site. The most important role of the client’s is their ability to provide a steady stream of content and to communicate their needs as to what additional content needs to be produced, and if necessary, outsourced to the appropriate parties. Given a continuous development cycle and a steady stream of content an average website can easily be designed, developed, and tested within a matter of weeks. 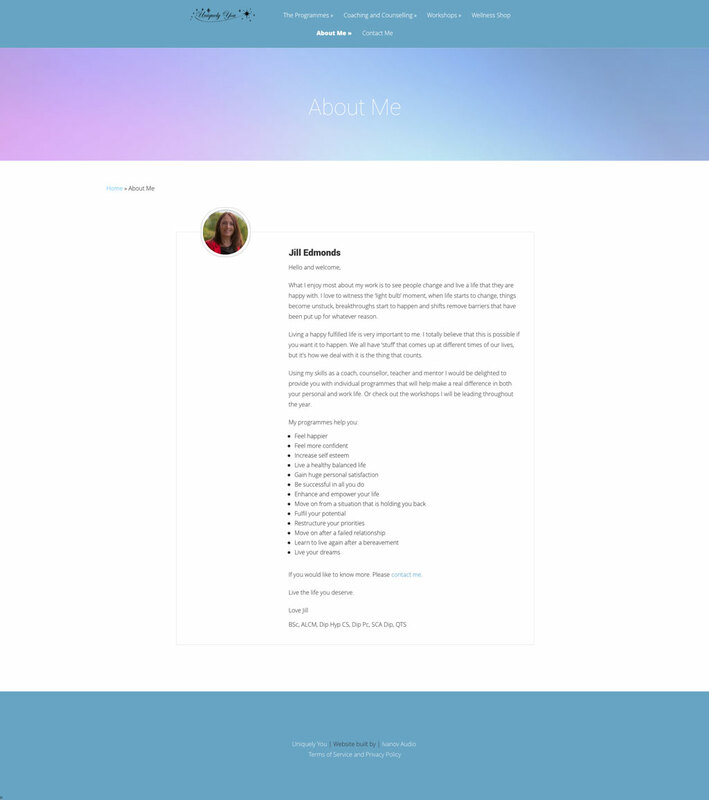 The project below give examples of my web design, developer, and administrator skills. When working with a client I see my role as making the process as painless as possible while taking their ideas and expectations and turning them into something real. I have played the role of designer, developer, and IT technician during the course of this project. I am proud to say that Protec is extremely happy with the finished product. 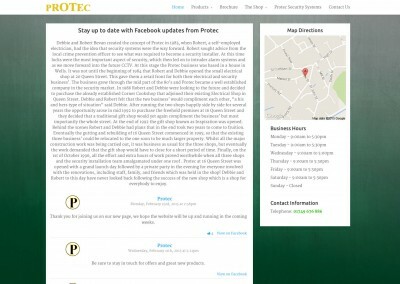 Protec is a local family owned business based in Wells, Somerset. 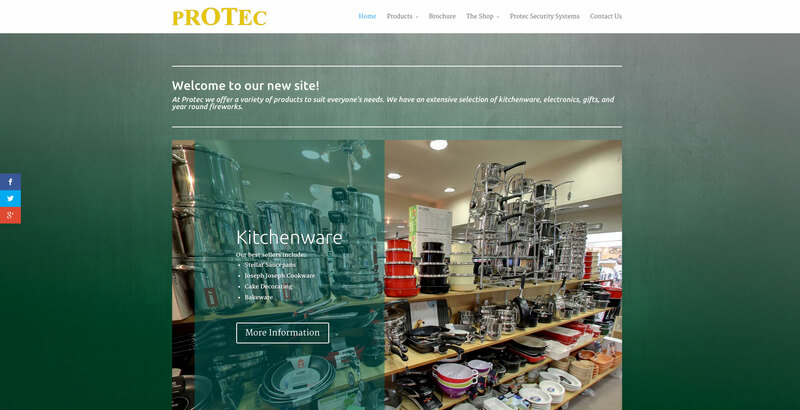 Since being established in 1983, Protec has grown and expanded over the years to provide a comprehensive selection of kitchenware, electronics, gifts, and fireworks. In recent years the business has lacked a cohesive web presence and has made do with limited online listings and an old landing page. 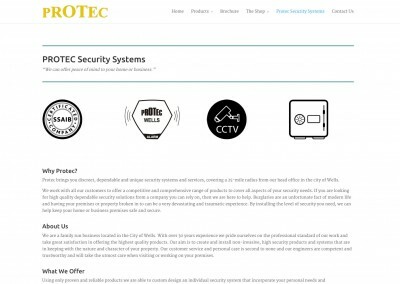 My work for Protec was aimed at revamping their online presentation to reflect the quality and depth of their selection by developing a new website and transposing that design language and content to their Facebook and Google Plus profiles. This has allowed me to create a consistent and SEO rich set of content that provides visitors with a dynamic and interconnected platform that brings them the latest news, promotions, and information. In planning the project it was agreed that Facebook would serve as the site’s most dynamic component. This resulted in the Facebook feed featured on the homepage. 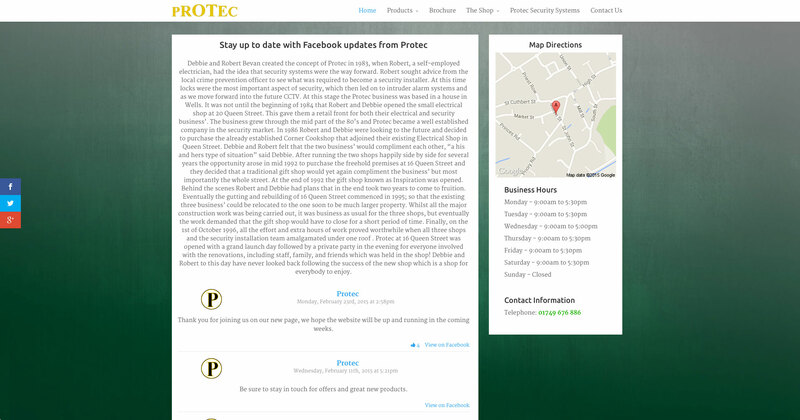 At a glance a visitor should be able to get an idea for Protec’s hours of business, contact details, address, and current news. 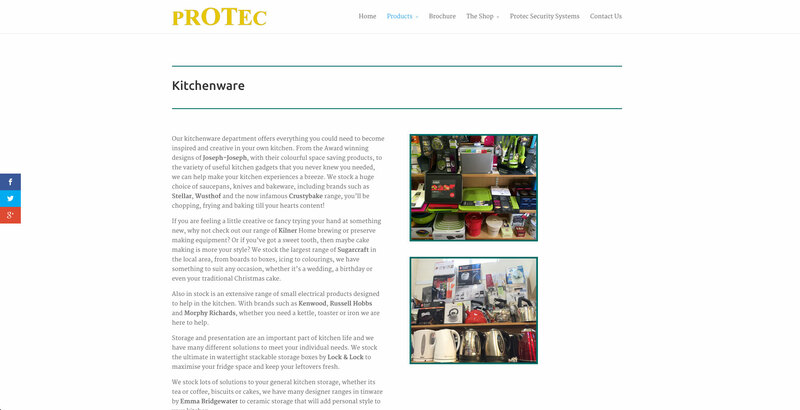 Visitors wishing to read on will find a rich amount of content describing Protec’s selection, brochure, security system products, and shop history. 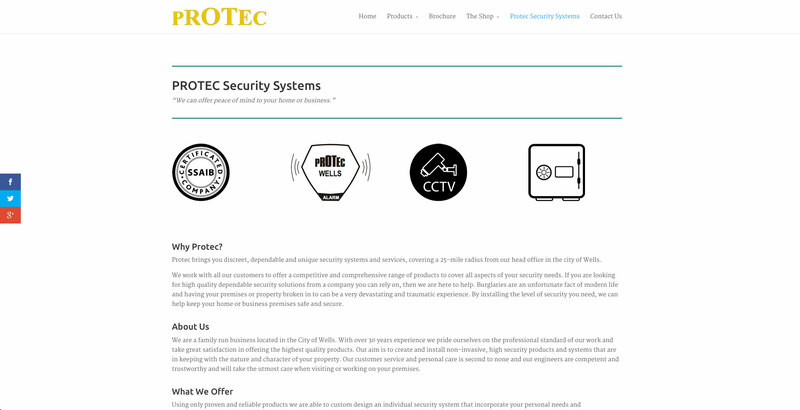 Protec values communication and will respond to phone and email inquiries. My design and development role for this site consisted mainly of HTML and CSS work to insert and style the content and layout. 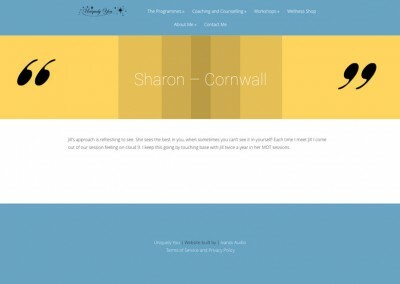 A few minor PHP edits were made to integrate breadcrumbs into the site and to make the social media icons new windows. 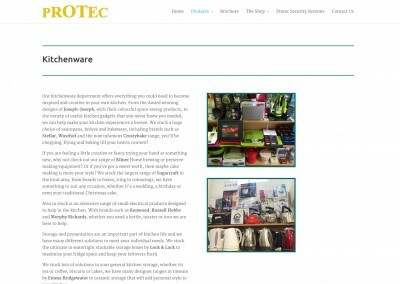 The homepage carousel required some additional CSS responsive behaviour to make the color strip and featured text scale correctly at different resolutions. Additional work included migrating hosting accounts, editing DNS and MX records, and making a few optimizations where appropriate. 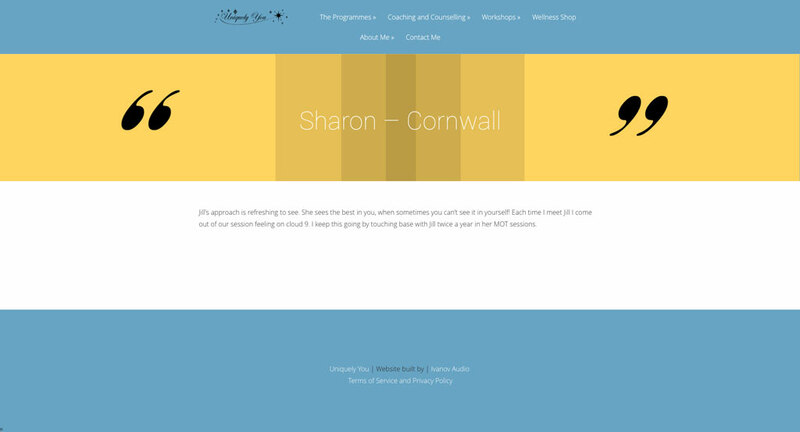 Staying true to the current design move towards flatter designs I have worked towards subtly adapting Protec’s primary colour scheme of greens and blues with yellow accents for use on the website. 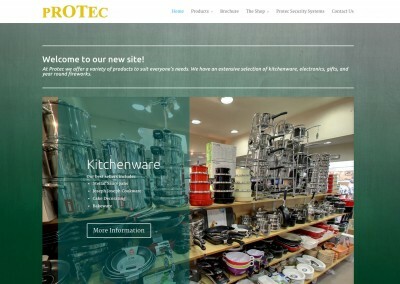 You can follow this link to Protec’s site. 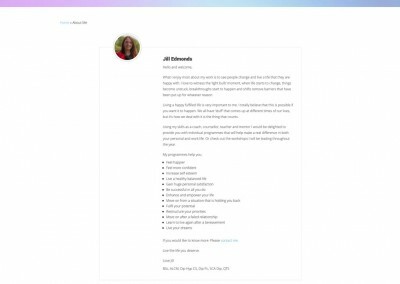 Uniquely You is a multifaceted program created by Jill Edmonds that helps people in areas that include: wellbeing, life coaching, grief counseling, and much more. 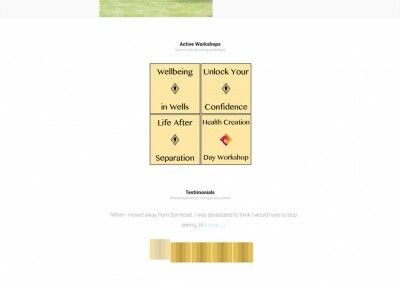 Jill provides a series of ongoing workshops. 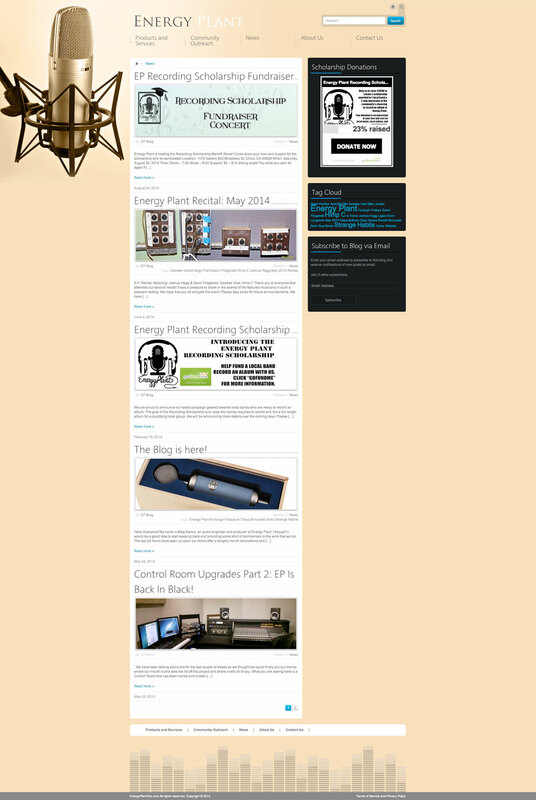 The site is currently live and is currently undergoing further content additions and social media updates. Please follow this link to the Uniquely You site. 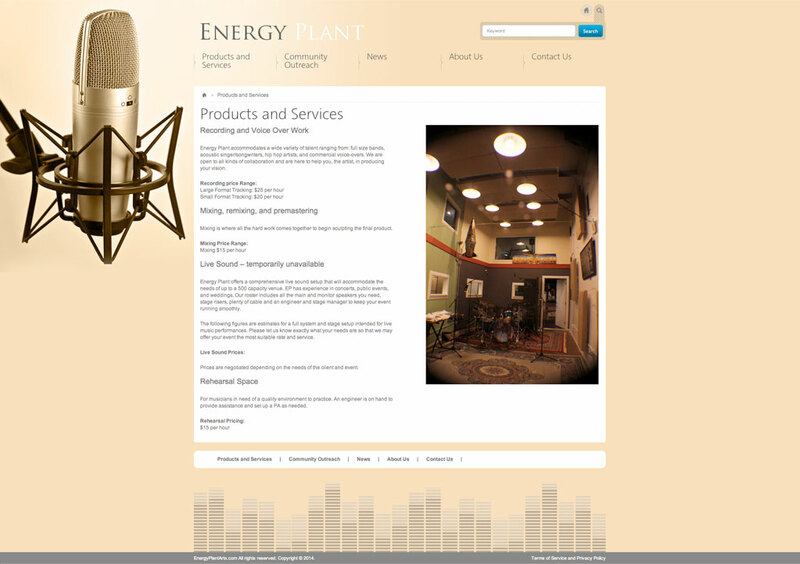 The original development of the Energy Plant website was done by Tyler Weber with myself in the role of co-designer and graphics assistant. The site was made live in the Spring of 2012 and has since then experienced a significant expansion in both content and functionality. 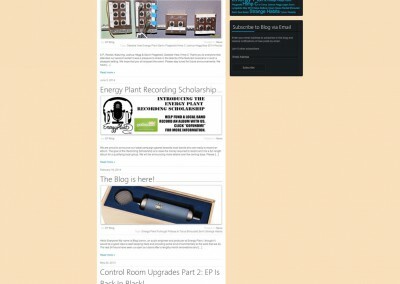 This site served as a stage where Tyler had a strong role as my mentor in helping me familiarize myself with the basic workings of a WordPress site. I have taken over the design and administration responsibilities of the site over the last year and have overseen the curation and installation of additional content, widgets, and site functionality. Please follow this link to Energy Plant’s site. 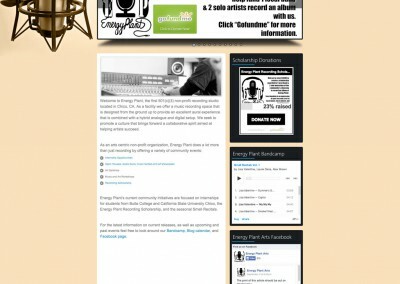 Shrouded is the artist name of Scott Hicks, an independent musician and writer. 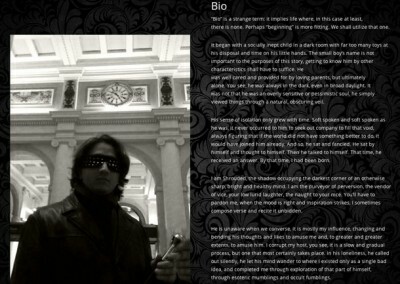 Scott is a good friend of mine to whom I donated my time by building this one page website. 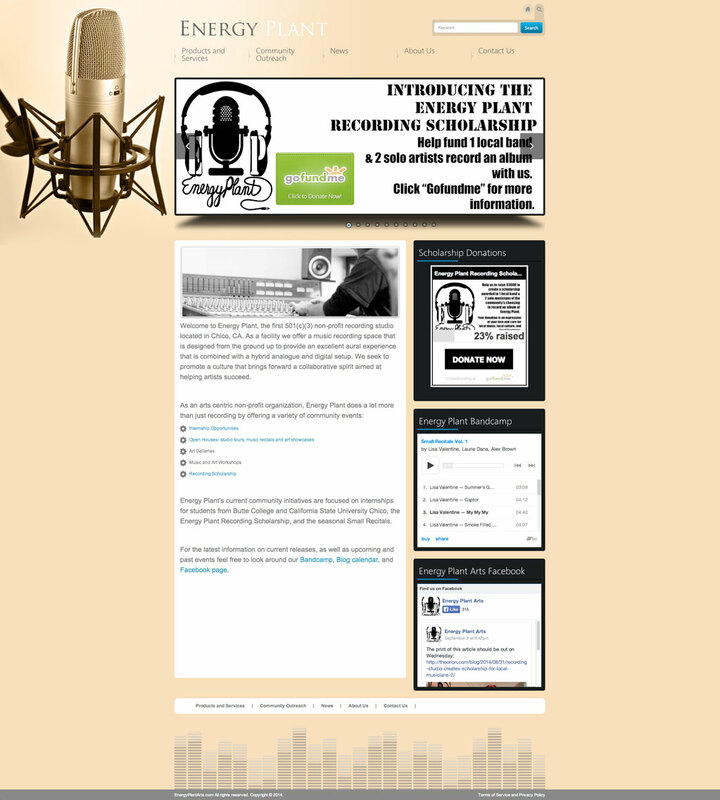 This site is intended to help him promote the album that I recorded and produced for Scott. The web page is meant as the final destination for Shrouded’s social media fan base. 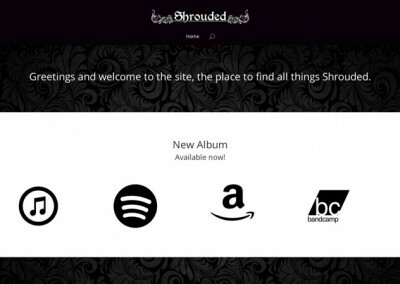 The site will soon be hosting Shrouded’s blog and news feed. 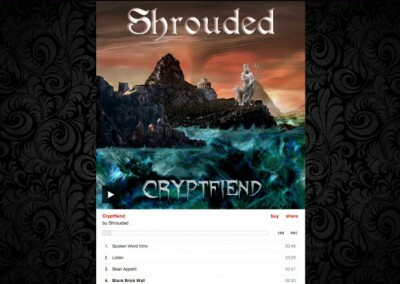 Please follow this link to the Shrouded site. I would like to offer my thanks and give credit to the following sites for providing a variety of free to use resources like: icons, icon fonts, custom fonts, and vector graphics.